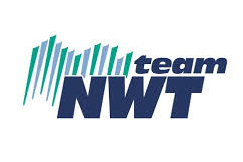 “It has been a fantastic few month for Table Tennis in the Northwest Territories. Being part of Table Tennis Canada means a lot to us as we can now participate in the Western Hopes Week, the Canadian Championships and run sanctioned tournaments. It will give our kids a boost to not just work towards the Arctic Winter Games every 2 years, but also participate in tournaments for the Northwest Territories.” Vice-President Mike Johnston, Table Tennis North.